Over two days, more than 100 community members participated in four Opportunities Workshops held throughout the County. These workshops are the second of three rounds of public engagement in the Wayne Onward process. A brief presentation was given about what was heard at the first round of public engagement, as well as technical analysis in the process. 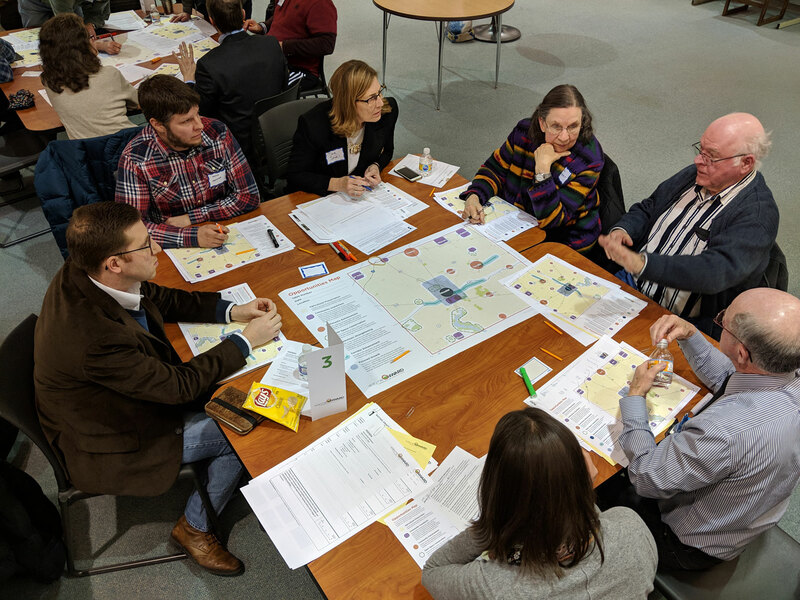 Participants were able to share their insight through three interactive activities focused on an evaluation of draft goals and preliminary ideas for the plan and an opportunity map that identified potential geographic focus areas. The Opportunities Workshop survey closed on March 31st. Stay tuned for the results and other ways to stay involved with the Wayne Onward process!